The Beta Playtest version is here. I've added some very experimental rules and I'm keen to hear if they work out for you or not. Give the game a try and let me know what you thought. The AGBIC game jam was loads of fun, thanks everyone who followed our progress or shared our posts, we really appreciate it! Devlog 5 - The Alpha Playtest version is here, test drive your copy today! This game's coming together. Hopefully I'll be able to share the first version of the full game within a day or so, vroom, vroom, vroooooom! Devlog 4 is here, with a bare-bones playable version of the game. Fair warning: this one's about funding your game dev, and I know lots of people might freak out at any mention of the dreaded budget, but it had to come up some time. There are links to some of our products in the post, and if people feel like dropping money, that's cool, but don't feel compelled to. I hope you find the update interesting. Looking forward to whatever you do do. Thanks @Ramifactor. What are you up to? Got anything on the go for this jam? 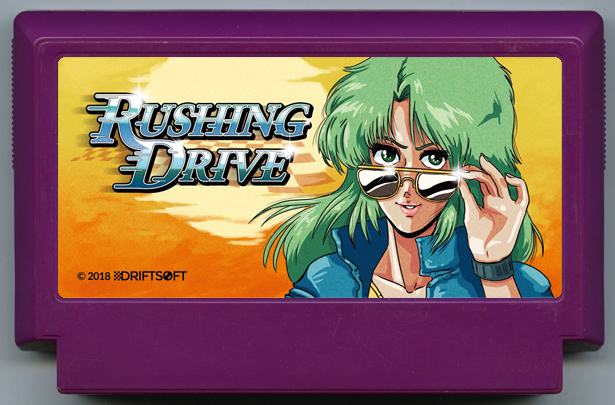 We're writing Outrun, a game inspired by Rushing Drive, the amazing cover by Philip Summers. And it's a table-top RPG. Our first devlog is on our blog. I'll be posting updates twice a week, so watch this space. I had so much fun building Rusty Blade last year for AGBIC jam 2017, it's great to be back again! 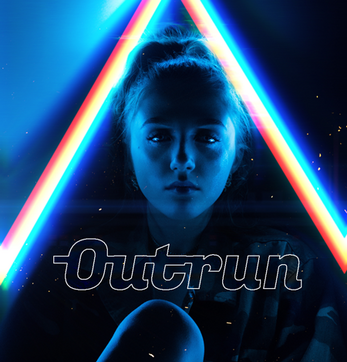 If you're a music composer and into outrun synth music, and you'd like to contribute to the project, please let us know. We're planning something special. A Game By Its Cover 2018 community » Teams · Posted in Looking for Programer or designer! I'm looking for a musician, but for a very specific type of music. What kind of music do you make and do you have any examples online? Nice story and plenty of variation in game play — it's like 4 games in one. I liked the music, and the sound effects were brutal but appropriate. The art was great and really added to the story you set out to tell. I found one set of spikes that didn't do any damage (level 2, somewhere in the NE section of the map). There was a spelling mistake on that level too, I think the word was "remember." The chase sequence was cool, but it wasn't clear to me what I needed to do until I'd failed it. Maybe that could be clearer, with a character saying "catch him" or something. The combat menu for the final fight was generally easy to use, but I suggest disabling the item button unless the character has an item, and also clearly indicating how to go through the menu. My initial thought was that the item menu was broken and I did like having to press Esc to back out, because I thought I might lose my game. Overall, a fun little game with an interesting story, and well worth a play. Haha, I'm really, really glad you got through the goblins. Thanks for the support! Thanks! That was one of my favorite parts too! That's awesome feedback! Thank you! 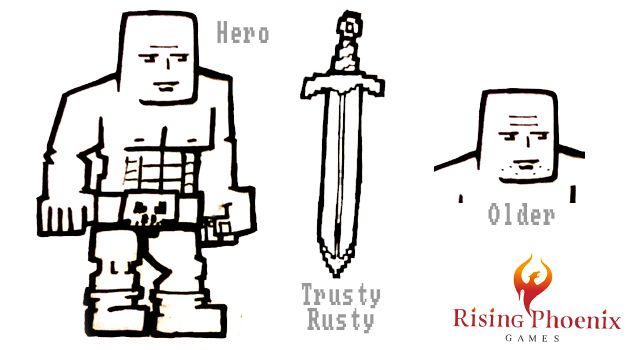 I also made a version of Rusty Blade, and it was very interesting comparing the vastly different outcomes. You did a really great job on this, well done! It works for me. I think I found a bug though... the dog runs through the closed door. Really well done. I'm enjoying reading through all the messages in his inbox and figuring out what's happening. What did you build the game in? How are you going with your game JDam? I've been thinking about adding sprites too. Here are some initial ideas. You can find my version of Rusty Blade here. See our dev log for more. Was cool, especially the run at the end. Well done on having at least 2 (that I could find) game modes (camera smashing and alley roll). Some of the dialogue buttons don't detect the Enter key, and it would be nice to be able to just use the keyboard. The "that was close" dialogue fires again if you roll around the house, and I couldn't figure out how to go to sleep, but otherwise didn't notice any bugs. That's awesome. We're also making Rusty Blade. Mind if I share pics here? 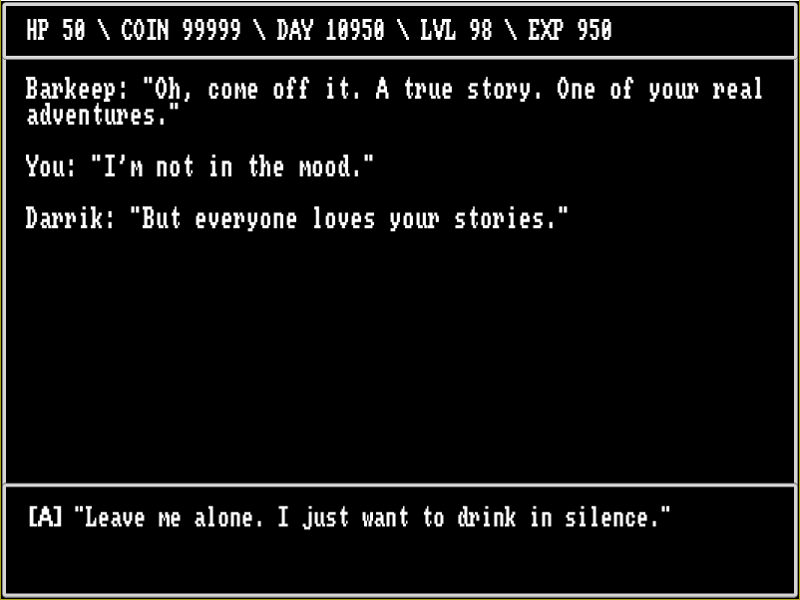 It's very different (we're making a text based RPG), but I don't want to step on your thing. A Game By Its Cover 2017 community · Posted in Don't know where to begin? First game jam? Read this! Our game for the jam is being built in Unity, but was prototyped in Twine, including the finite state machine RPG engine. Twine also looks good on a resume. itch.io Community » Game Development » Help Wanted or Offered · Posted in Character artist wanted. 30% cut of gross profit offered. Have you tried contacting the designer directly? I contacted the designer of the cartridge I want to do and he was glad to hear about this game jam, happy for me to make the game, and super helpful too. itch.io Community » Game Development » Help Wanted or Offered · Created a new topic Character artist wanted. 30% cut of gross profit offered. We're looking for a character illustrator. We're looking for someone who can turn out 4 character illustrations for a small visual novel we're making for the Yuri Game Jam 2017. The game will be an all ages, non-pornographic game. Player character, female, for title screen, promotion. Main character, female, full body, walking. Main character, female, from belt up, conversational pose. Main character, female, from belt up, concerned pose. 3 and 4 could be similar enough that only the facial features need to change. We'll also need 2 backgrounds, but I'm hoping I can source those or produce them myself. The most important aspect is that the main character has to look beautiful, fashionable, and elegant. We mostly produce tabletop roleplaying games and content, and would like to grow our mobile games development arm to have a similar reach. You can find out more about us on RisingPhoenixGames.com. Time Frame: 2 weeks for character sketches. 1 month, 2 weeks for final versions. Compensation: You'll get 30% of whatever we make off the game, after itch.io or other platforms take their cut. Art direction: You'll receive some art direction on this, to ensure that our look and feel requirements are met. We're looking for a team player who can follow directions and stick to a brief. Contact: Send a link to your online portfolio or 2 character illustrations to contact@risingphoenixgames.com , along with a short introduction, by no later than Monday, September 11th, 2017. Failure to follow these guidelines will result in immediate rejection. Did you read the game page? That helped me understand Bullet Spell, because you need to know what key grabs letters and what key destroys them. I had loads of fun participating and managed to get something through the gate, although it was missing a lot of the features I'd planned to have. There were 7 participants, and I guess 1 of us was our host, so how did the rest of you get on? For some reason I thought I had till the 29th, but luckily I checked on Friday. Spent 2 late nights to hack the basics together and then uploaded on Sunday. Lots about sprites. Coming from Flash this was the first time I actually used a sprite sheet. Now I just need to go back in and realign everything. That kiwi.js and phaser were created by the same guy. Prototyping is worth it. I made a simple prototype in Word, but it saved me having to constantly shift things. Also, a design document. Planning well really saved me when I was running out of time to code. I'd try get a more polished game out. Even if I can't get more features done. The fact that stuff doesn't line up really hacks me off. Just going to say that prototyping saved me on this. It helped me cut feature in the right places and get things submitted before the deadline. Would have loved to do more, but what game jammer didn't feel that way? Awesome! I really like the idea and it was loads of fun to play. One usability thing, on my PC the screen is about 100 pixels wide, so a resize feature would be awesome.